This 6.2R earthquake was only 4km from Prinza, Philippines! The6.1 magnitude earthquake was recorded in Batangas Friday afternoon, the Philippine Institute of Volcanology and Seismology said. The quake struck 5 kilometers southwest of Lian town in Batangas at 1:28 p.m. 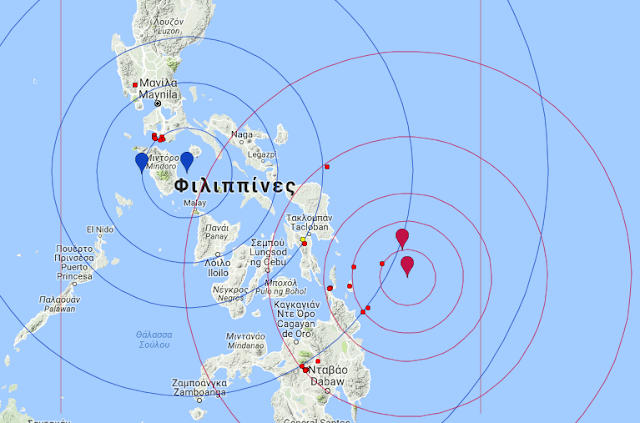 Aftershocks are expected from the quake, the initial report from Phivolcs said. 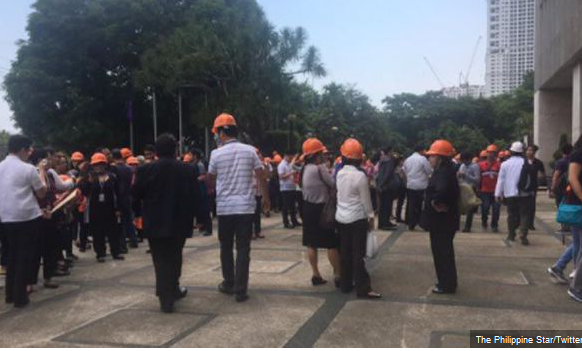 The quake lasted for several seconds and was felt in the Philippine Daily Inquirer building in Makati. The official residence of the President Rodrigo Duterte, Malacañang Palace, has been evacuated after the tremor. Students from the University of Santo Tomas in Manila go outside of their buildings following the strong quake that was felt in parts of Luzon. The quake struck about 99 miles below the surface, making it a relatively deep earthquake. Along with the presidential palace, the Foreign Affairs department, the Supreme Court, the university and the Red Cross building were also evacuated. The Philippines lies on the Pacific Ring of Fire which stretches for 25,000 miles in a horseshoe shape where a large number of earthquakes and volcanic eruptions occur due to the shifting fault lines in the tectonic plates. There are some 452 volcanoes along the ring, accounting for about 75 per cent of the world’s total. The country’s worst ever earthquake struck in August 1976 when an 8.1 magnitude earthquake struck the Moro Gulf which generated a tsunami which caused devastation along the coast of the Mindanao island as well as the nearby Sulu Islands, killing up to 8,000 people. The last sizeable earthquake to strike the country was in October 2013 when one of a magnitude of 7.2 struck the province of Bohol, killing at least 222 people and injuring almost 1,000 others. 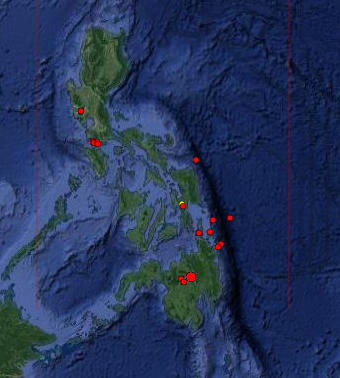 This year's >5R earthquakes in Philippines this year are shown below. Below we see the earthquakes of >5R in Philippines for this year so far, fit with fibonacci circles, showing there is predictability here. Our predicted coordinates were (11.2N, 123.3E) a few degrees off but we were expecting the event. 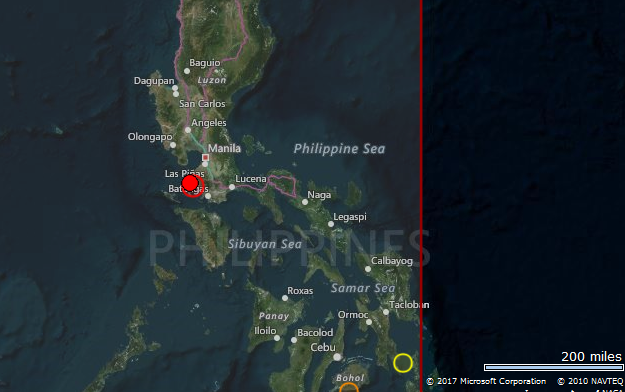 May I have the earthquake prediction for the Philippines for the month of August 2017? please register and I will email you the data. email on earthquakepredictionofficial.com requesting it. Thanks Be Safe Be Good!